Apple has just released second beta version of iOS 8, and there are many new futures has been updated in second release of iOS 8 beta 2. 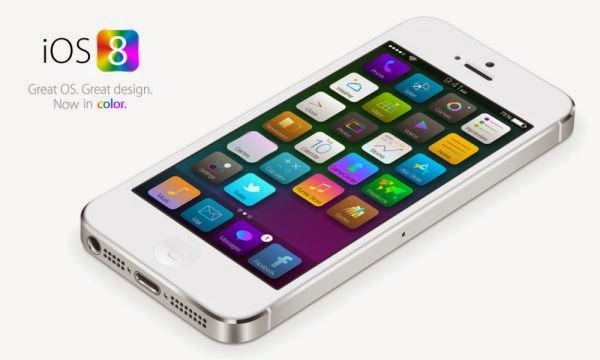 In this post i will review some of the key features of new release of iOS 8 beta 2. The camera and the voice button will no longer be available in blue in message app. Now you will see the voice message button colored in blue at the right side on the message screen, as it was gray previously. I think it looks pretty nice now. Raise to listen, its a new feature that will allow you to quickly listen and reply to any of your incoming voice messages, for this you just have to raise your phone to your ear. This sounds really great, now you can listen and reply to your voice messages more quickly and easily. In second release of iOS 8, you will get the Podcasts app pre-installed in your smartphone. The will find the the podcasts app on the home screen on your phone, so when will need this app you can simply access this app from the main menu. In iOS 8 beta 2, Safari will block the auto jump to App store, now it will require your permissions to jump to the App Store. As there was no permission required before before jumping to the app store. The iOS 8 has come up with a new keyboard having the QuickType Facility. This particular QuickType Keyboard would be available for iPad users. If you are a iPad user you can try it out on your iPad. Now you can store all your photos including all of your videos in the cloud. With iCloud photo splash screen you can quickly store all your photos and videos in iCloud. On the landing page you will get the iCloud photo splash screen so you can store all your photos and videos in Apple iCloud. As the new iOS 8 feature, users will get a quick website search in safari browser. The quick website search will let you easily search any website name within any webpage or website. To enable it just go to the safari search setting and enable the quick website search option. Now you would be able to see, that how many tabs you have open in safari. If you have open multiple tabs in safari and you want view all the open tabs then just have to pinch on the screen with your two fingers and it will show you how many tabs are open in safari. With the new ‘No Cell Coverage’ state box, users would be able to see that how much battery your iPhone is hammering when your iPhone doesn’t get any cellphone coverage. This feature will allow you to mark all of your messages as read. To mark all the messages as read, you can simply find the option on the top left side on your message app screen. With the new allow notification option you will get alerts on your lock screen or in the notification center for each app. You can simply enable the notification for an app just go to Setting >> Notification. Which one you would like the most? share with us in the comments below.